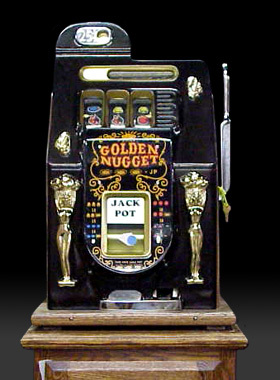 Gloden Nugget comes in 25 Cent play and 5 Cent Play. 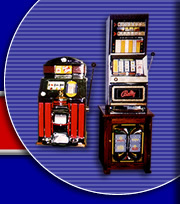 These slot machines are remanufactured to it's original state using as many original components as possible. Any replacement parts have been remade from the original molds and castings! Available in Black, Red, White, Blue. Prices include shipping and handling. Prices are subject to change without notice.